Whether you are an employee or an employer, there is a good chance that you know about workers compensation insurance. This is a form of insurance that is required in most states and it specifically protects both the employee and employer. In the event that an employee is injured on the job, this type of insurance will kick in and cover medical related expenses that are involved with the incident. In many cases, some policies might even cover lost wages for the time that the employee is out of work. However, as technology changes and evolves it is having more of an impact on workers comp insurance and below, you are going to learn just how technology is impacting this ever-important policy. Text messages, voice mail, and e-mail have really changed the way that people are communicating these days. This is especially true when you consider the capabilities of cell phones these days. With Wi-Fi hotspots everywhere, you can literally get online right in the middle of a cafe and check your e-mail or text messages. This is important because e-mail alerts or text messages can send out real-time information that you might need for your claim. Whether you are communicating with your insurance provider or getting notified by that pharmacy that your prescription is ready, technology is making managing your claims much easier. If your workers’ comp claim gets complicated, you are going to need the assistance of a good attorney. And, technology has really changed the way that people are shopping these days. More and more consumers are going online to read reviews and find information about a product or service before they invest in it. This is even so true with lawyers. Gone are the days of going through the phone book and finding attorneys through the yellow pages. With the Internet, you can read reviews about any workers compensation lawyer and see how they operate before you even hire them. There is now even wearable technology available that could potentially the amount of workers comp claims that are made within the workplace. Wearable technology will monitor employee’s movements and can warn them when them or the employer when they are in danger. These devices can also monitor body fatigue, repetitive body stress injuries, and body temperature. Any industry where manual labor is required on a daily basis could greatly benefit from this form of technology. A worker comp claim can be complicated, to say the least. 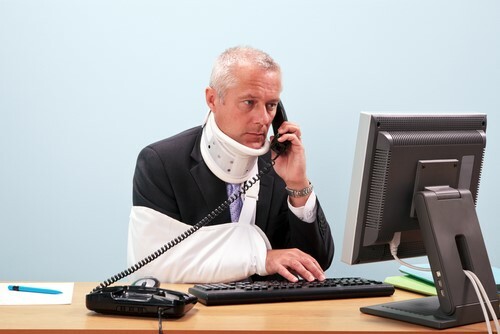 When an injury occurs not only will the employee have to notify the employer, but they are going to need to seek out medical attention immediately. There is where technology once again makes things a little easier and clearer. With mobile applications, employees can quickly be supplied with a list of approved medical providers. This will let the employee immediately know where he or she can go to seek healthcare that is currently covered under their employer’s insurance.